Bravelets Blog: Where Bravelets Come From // China Trip + Guest Blogger! 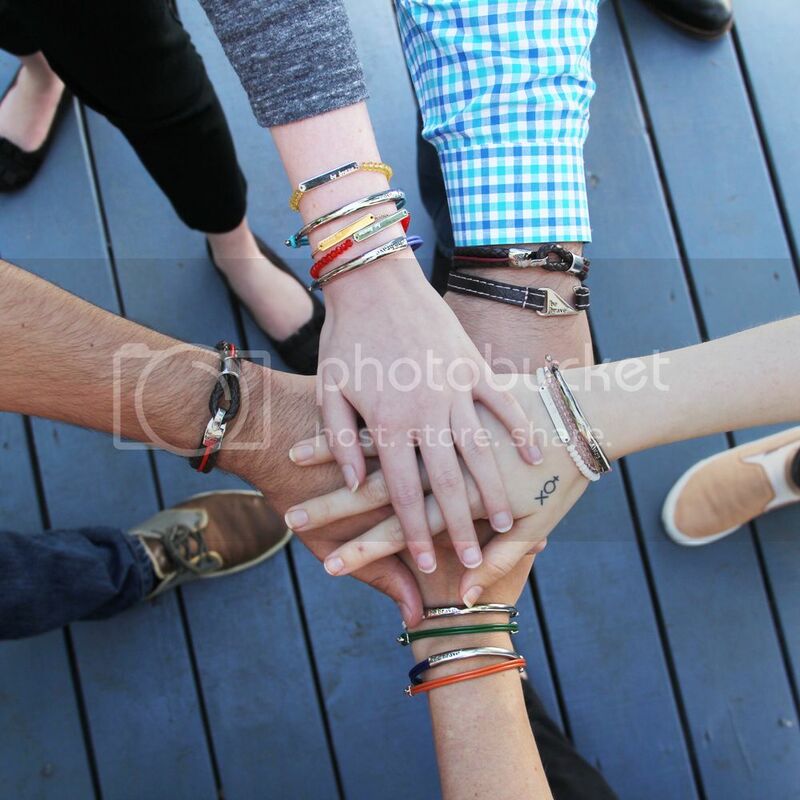 Where Bravelets Come From // China Trip + Guest Blogger! Our main contact is Michelle, our Production Manager in China. She manages relationships with all of our current and new suppliers. Michelle is in charge of placing orders, quality assurance, facilitating shipments to the US, etc. She and I are in close communication almost every day through email and Skype. She has been instrumental to Bravelets’ fast growth – by ensuring that we are able to ramp up our manufacturing to meet demand for all you lovely customers! On the trip, I met with our manufacturers, performed some Quality Assurance on items currently in production, discussed product improvements with Michelle and attended a jewelry show in Hong Kong. I also travelled for two nights with Michelle and her entire family (Michelle being the only one who speaks English). We all visited two towns I had never been to before (Guilin and Yangshuo). Traveling around China with someone else’s family, not speaking with language, and experiencing the culture first hand was a once in a lifetime experience that I will never forget. The most inspiring part of it all is the work that has gone into Bravelets in the past three years, and not just here in the U.S. I started working with Michelle shortly after Bravelets launched. Our very first batch of Bravelets came from a different supplier, but the 2nd order through today have all been managed by Michelle. I travel to China once a year to meet with our suppliers (March 2013, Sept 2014, Sept 2015). On my first visit to China, Michelle expressed that I had inspired her to be an entrepreneur, and that her dream was to own her own company in Guangzhou. Over the years, I have provided advice and guidance to her, and we have worked together to grow our businesses. I love win-win situations, and this is definitely one of those that has been mutually beneficial to both of us. Not only has Michelle been able to start her own company, be her own boss, and provide jobs for over 10 people in China, but she has also been able to support her family and create a better life for them. One of the most gratifying moments for me in my entire life/career, was when I visited Michelle in 2014, and she showed me the new house that her family was living in, which was WAY nicer than the house she had shown me in 2013. In just over a year, with the money that Michelle has made working with Bravelets, she was able to go from living in a very small one-bedroom apartment with her mom and dad, to a four-story house where they now live with many of the luxuries that we all take for granted. Thank you for the interesting information and useful tips which I'll share with my community of Student Life readers. I discovered some new information with your help! I like this information so much because it opened my eyes on some of the issues we faced. I have to post it for https://roulette-overzicht.com/ if you don't mind. The appvalley apk gives you a progressively secure stage to appvalley download ios the perfect records and applications and at the time you need them the most. Another genuine good position is its constancy, explicit and safe in usage. Holiday Cheer + Digital Downloads!